Flo's Bootleggers discuss first-year coaching turbulence, LSU head coach Ed Orgeron makes an appearance—sort of—and Bratke throws a fit over NFL officiating. 2:30 — Dorian Thompson-Robinson's dad sends mean tweets. 8:07 — What's up with Florida State? 17:40 — Urban Meyer keeps saying words. 21:25 — North Texas' unfair catch. 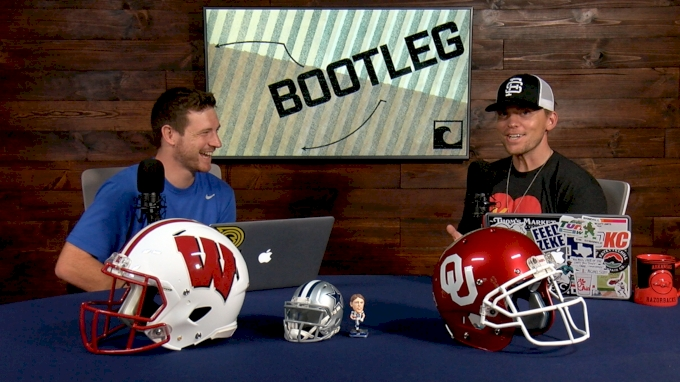 24:00 — College Football roundup. 39:45 — Cover 4 talk. 57:40 — Freaking out over future Hall of Famer Pat Mahomes. 1:00:18 — How 'bout them Cowboys?